For the eighth issue of Local Flair, I got the chance to meet Tolu, a passionate mum of 2, who is capturing timeless moments through the creative concept of Tootsie Toes. Tootsie Toes is a company that creates a lasting reminder of your precious little one in the form of a cast, that can be framed or a sculpture that can be kept on the mantle piece forever and ever. Framed casts can also be created for the entire family. 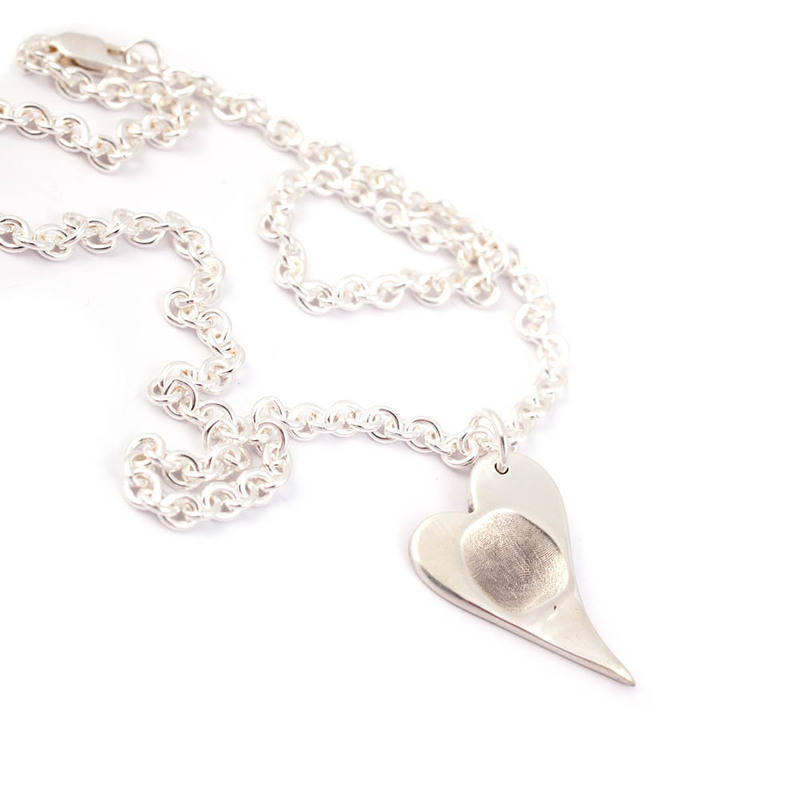 They also create silver jewellery of your little one’s prints which can be worn every day. So let’s dive straight in, and find out more about this precious little business! P.S. Giveaway at the end of the post! Married for over seven years and mother of two daughters, Tolu was born in Africa and brought up in London, United Kingdom, where she studied in Brunel University, and entered into the corporate world of Project Management. She worked in Investment Banking before deciding that she wanted to do something different. Tolu would commute daily to London from Milton Keynes, for work, and even on the weekends to see her family. During her first pregnancy, it was her maternity leave that allowed her to discover Milton Keynes for the first time, and where she began networking with other mothers. Tootsie Toes is headquartered in UK, and after having her first daughter, Tolu was invited to a Halloween party at a friend’s home. It was in this house that she first set eyes on a Tootsie Toes cast and instantly fell in love with it. She immediately got her 3 month old daughter casted and it has been a timeless family treasure ever since. Soon after this, Tolu moved to Abu Dhabi where she was once again involved in the corporate world. After having her second daughter almost 4 years later, she immediately contacted Tootsie Toes (in the UK) once again to have her 10 day old baby’s hands and feet casted. These frames took pride of place in her living room and she soon realised that they were the centre of attention of topic of discussion when she welcomed guests home. Though Tolu was not unhappy with her career, she wanted to change her life and start putting her energy in something she was passionate about rather than allowing herself to become complacent in the corporate environment. At her youngest child’s 1st birthday party, celebrated in the UK, the entire family was casted and she got the chance to speak to the Tootsie Toes owner about franchising the company in Abu Dhabi. A few months later, Tootsie Toes was set up in the UAE in September 2015, and Tolu could not be happier. The most rewarding part for Tolu is meeting new mothers and seeing the look on their faces when she hands over the finished casts. She also loves being uniquely creative for each individual as each cast is different from the next. The most challenging aspect of the business, and how Tolu has overcome it? The learning curve has been the most difficult thing for Tolu to face. Tolu says that she was not at all one of the crafty students at school and could never have imagined doing this. Tolu often questioned herself whether she could do it, and it was a challenge to understand technicalities and train the eye. However, with time and patience she has perfected the art. The classic framed cast with two hand and two feet casts, including a photograph of the child. The best seller is also Tolu’s favourite type of casting. She says when all the casts and photos are put together in the frame, it looks like a masterpiece! “This business has given me the opportunity to discover how the locals really celebrate the birth of a new baby. It’s phenomenal and I always feel privileged to be welcomed to their homes at such a special time in their lives. My most memorable casting experience to date was for a local family and the baby was six days old. There was at least 40 people (all women and children) in the house fussing around this precious little baby. The mother wanted to do the casting somewhere quiet away from the excitement so we went to her bedroom. However, less than 5 minutes later, the crowd had built up in the bedroom. The ladies all gathered around the room and the children sat on the floor around the baby and I suddenly felt like I was in a “casting show”. The phone cameras were clicking away, videos were being filmed and there were lots of questions being asked which I was pleased to answer. Claps and cheers were uttered from this lovely crowd as I removed the baby’s hand/foot from the mouldings. It was truly a wonderful experience because it was the first time I ever had to cast in front of an audience and the positive reception was uplifting”. The initial material to create the cast is Aliginate, which Tolu sources locally in Abu Dhabi, and this simply needs to be mixed with water for the hand and feet impressions to be taken. The cast impression takes around 30 seconds, after which Tolu takes it into her workshop and hours are spent perfecting the cast. The colour of the cast and frame, according to the choice of the client, is all sourced locally as well. Tolu asks that a waiting period of 3-4 weeks is given from the initial cast impression to handing over the framed cast for her to manage customer expectations. The metal sculptures are still created in UK, as Tolu is not willing to compromise on the quality and has not yet found the appropriate supply chain to create them in Abu Dhabi. Tolu believes that because she started out being a client of Tootsie Toes, she can relate to her own clients and their experiences, ensuring that they get the very best, just as she did. Tolu also explains that another unique trait about the company is that they offer duplicates of casts. The duplication still only needs one cast mould to be taken and is a great gift idea for expats looking to create a memorabilia that their grandparents living in other countries can share. Tolu’s day begins with an early wake up and school runs for both her daughters, followed by supplier or client appointments, and perhaps a visit to various craft shops in UAE. Around lunch time is when she heads into the workshop where she spends hours perfecting her cast creations, only taking a break for another school run to bring the girls back home. Though her daughters are in the care of two wonderful nannies, Tolu is still very much in and out of the workshop until 6 pm, when her husband arrives. Tolu enjoys some family time through until dinner, and after the bedtime routine. Once her daughters are asleep, she once again heads back into the studio to work until 10 pm…only to repeat it all over again the next day. Tolu also frequently fits in home or hospital visits for her clients. Tolu admits it is very tough and it is very normal to want to give up. However, she urges that there is always a way, and networking is key in order to build your business. For her, the three main things to build a successful business are perseverance, networking and having plenty of patience. Tolu’s vision for Tootsie Toes is to be one the top casting business in the UAE. Tolu wishes to expand the business in 5 years time to all of UAE, and eventually to the entire GCC (Gulf countries). Tolu would also love to see Tootsie Toes to make home in Africa. This is Tolu’s vision for Tootsie Toes and is determined to achieve it. Tolu very kindly casted Baby Z’s fist for me to treasure and I can not begin to tell you what a thoughtful and special feeling it is to receive this frame. I can only imagine that as Baby Z grows older, I will grow even fonder of his tiny little fist and have flashbacks of his childhood whenever I see it. I can not find fault in Tolu’s service at all, as she is so passionate about what she does and it really shows through, and even though it takes quite some time between taking the initial casting and receiving the frame, which she had already warned me about, it is totally worth it. Before the casting, I was also rather apprehensive about how Tolu would manage to keep my wriggling toddler still enough for her to be able to get the hand impression, but the process was so quick, only lasting a minute or two. Another great thing is that the impression making aliginate does not stick to the skin, and came off completely when she removed Baby Z’s hand from the bowl. No sticky mess, quick and painless. What more could a toddler’s mummy ask for! For anyone looking to capture a special moment in time, I would wholeheartedly recommend that you get your child(ren)’s (and even your own!) casts taken, because it will be the most special thing to look back on. Colour options available for the casts, plaques and frames. Please Note: The winner must be living in the UAE and have a UAE postcode that the item can be posted to. In order for you to get your hands on your very own forever keepsakes, head on over to Tootsie Toes website to see all the different ways Tolu can cast your little one’s hands and feet, or contact her through social media as linked below. All photographs in this post are the property of Tootsie Toes, and have been used by the owner’s permission. It definitely is! Quite the memorbilia to have!